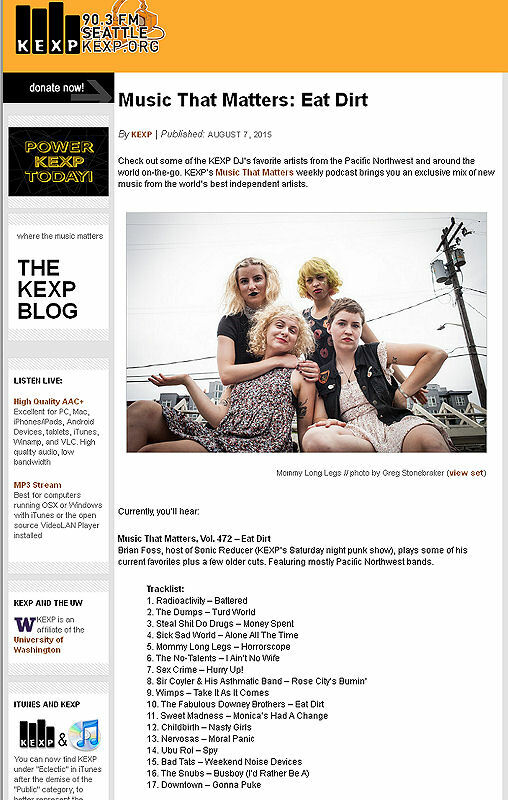 The Sweet Madness song "Monica's Had A Change"
is featured on the KEXP Music Matters podcast "Eat Dirt." Sweet Madness is playing alongside other contemporary NW groups. punk show featuring loud, fast and short songs. Thank you Brian! to see more and download the free podcast. music historian Peter Blecha in the Northwest Music Archives. to see more the Northwest Music Archives Online! for playing "Obsessive Compulsive" on the afternoon show. Dagger Zine which has been publishing since 1987.
to read more Danger Zine Online! 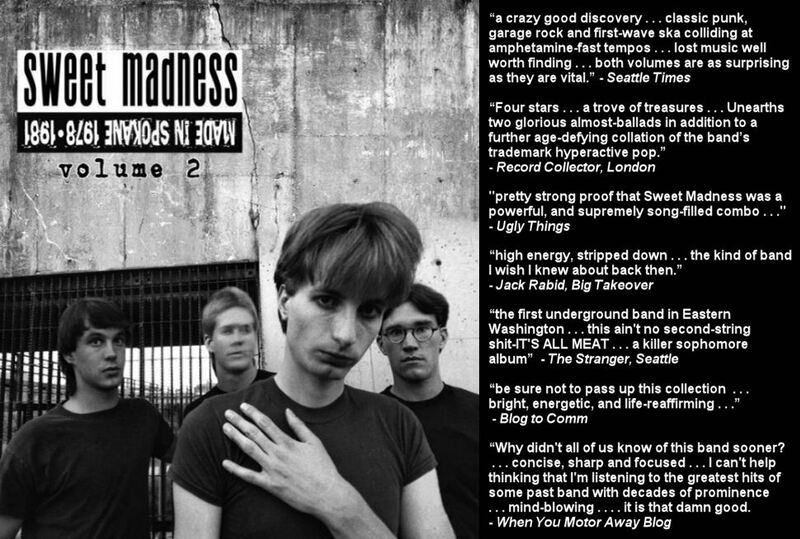 Sweet Madness Volume 2 gets reviewed by the great When You Motor Away blog. is happy to be in that category. to see the When You Motor Away Blogspot! 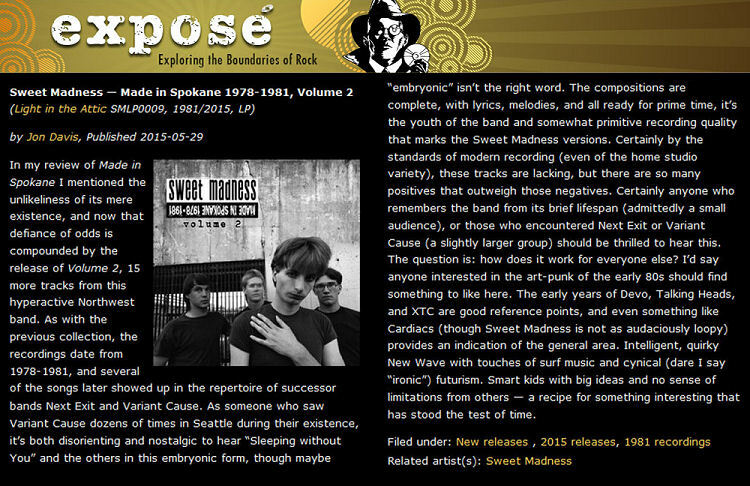 for many years and Sweet Madness is thrilled to be included. 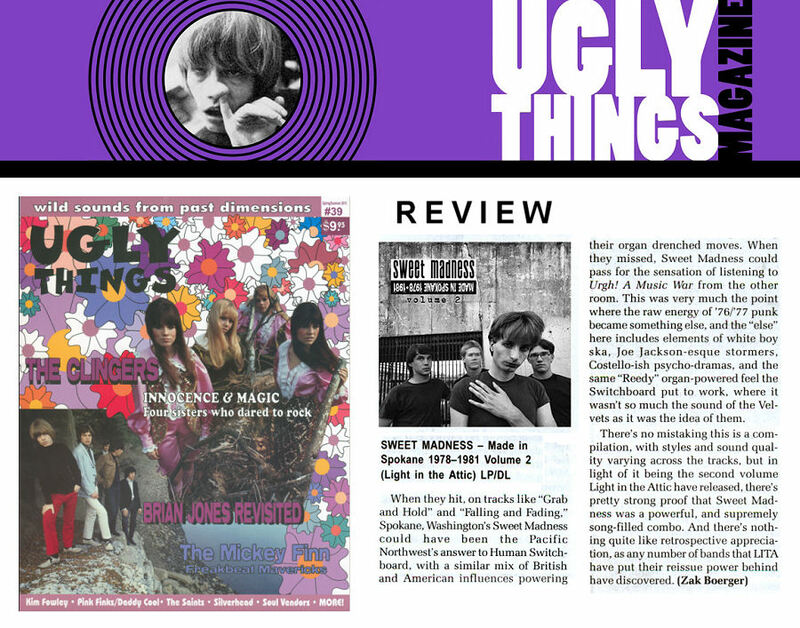 to see more Ugly Things Online! Thank you Mike Stax and Zak Boerger! 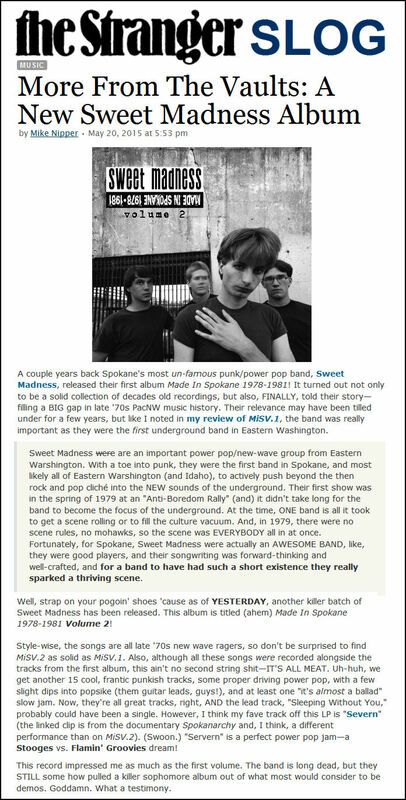 by the hometown in the Spokane Inlander. to read more Spokane Inlander Online! on the wall of Spokane's newest record store Groove Merchants. 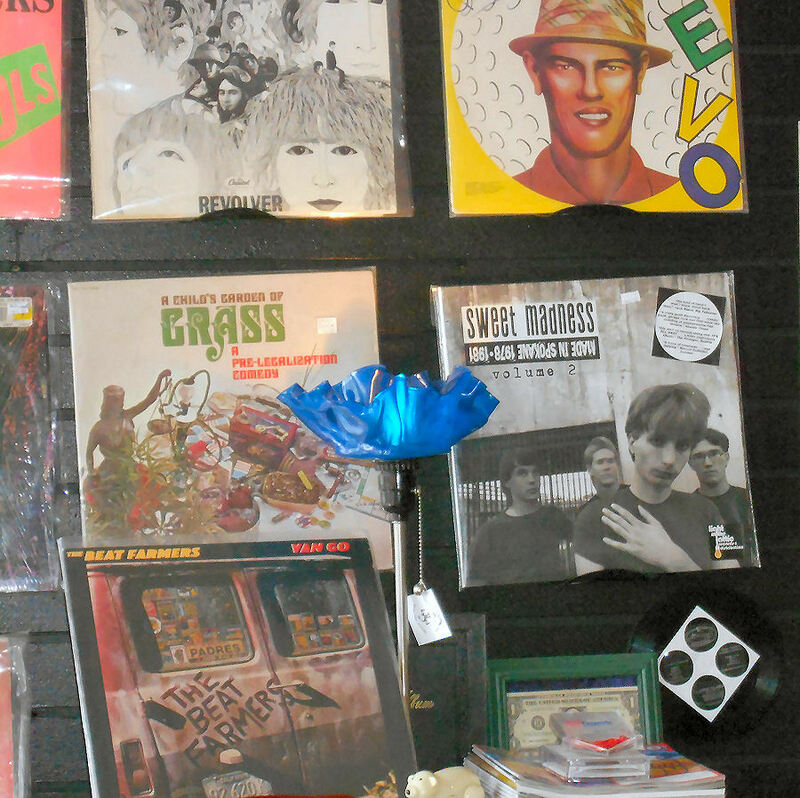 to read more about Groove Merchants Record Store! legendary and highly respected Blog to Comm. to read more Blog to Comm Online! Magazine out of London. Thank you Tim Peacock and Jason Draper. to read more at Expose' Online! Sharlese Metcalf for playing "Monica's Had a Change" on Audioasis. 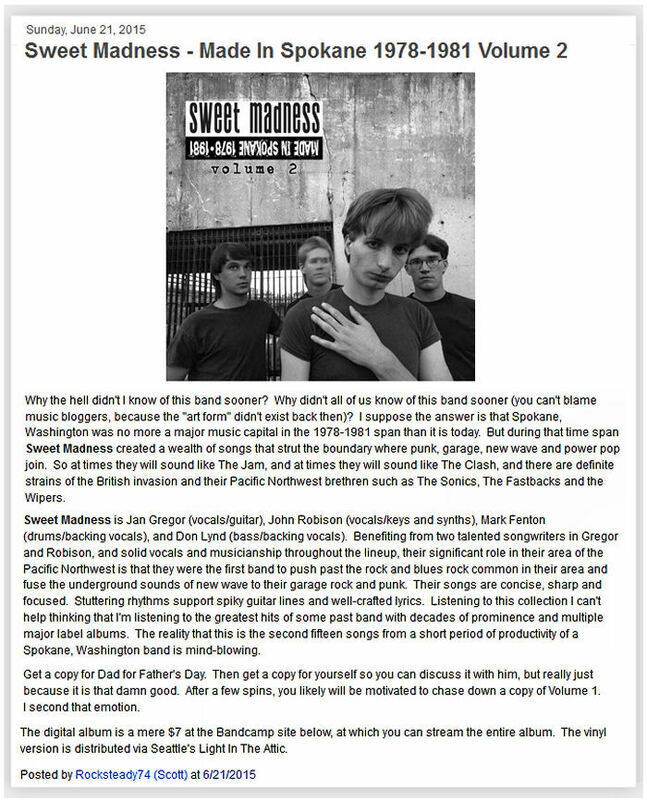 Sweet Madness thanks Mike Nipper and the Seattle Stranger for reviewing Volume 2. 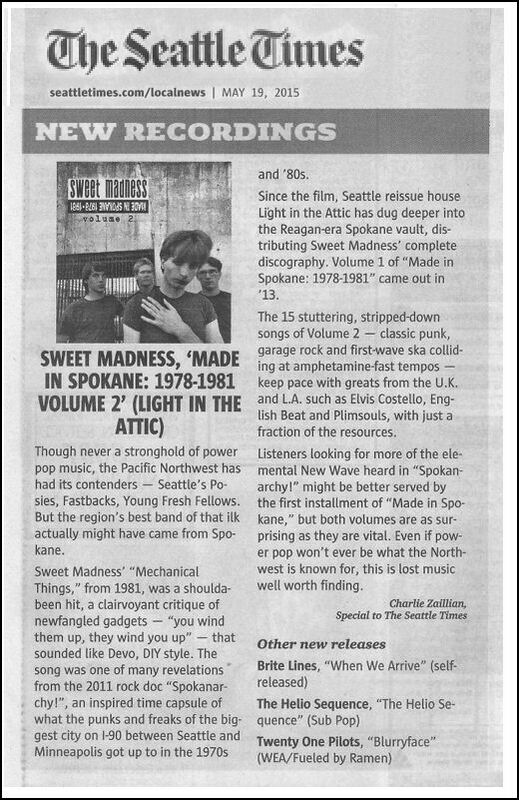 Sweet Madness thanks Charlie Zaillian and the Seattle Times for reviewing Volume 2. 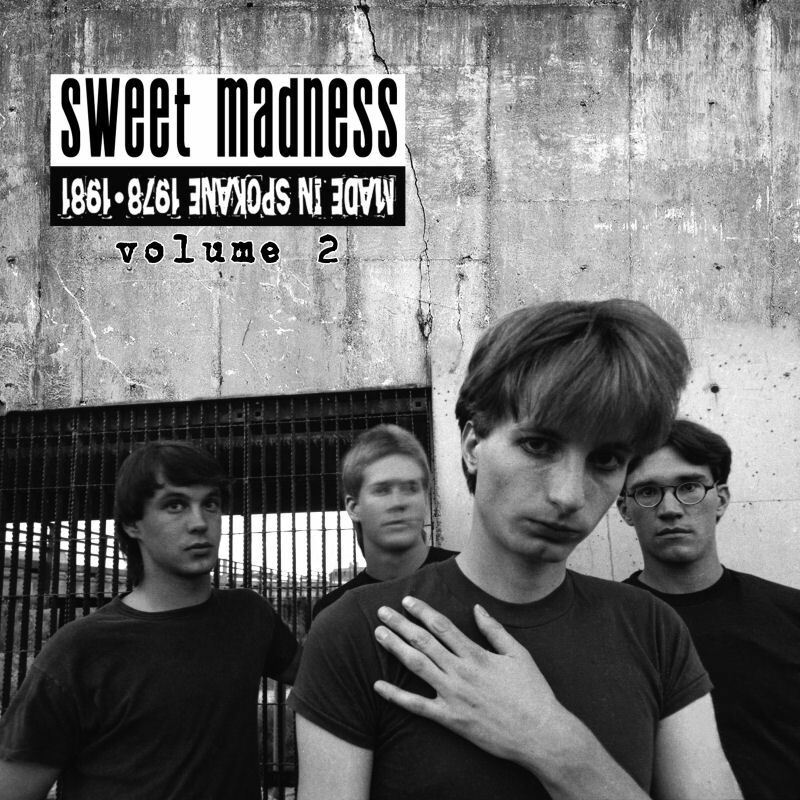 Sweet Madness has just released more material not heard for 30 years. Rickio Woods who designed the group's original gig posters. 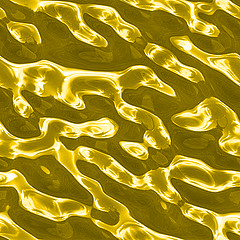 The digital LP release will be found on Bandcamp, itunes, Amazon, Google Play and Spotify. 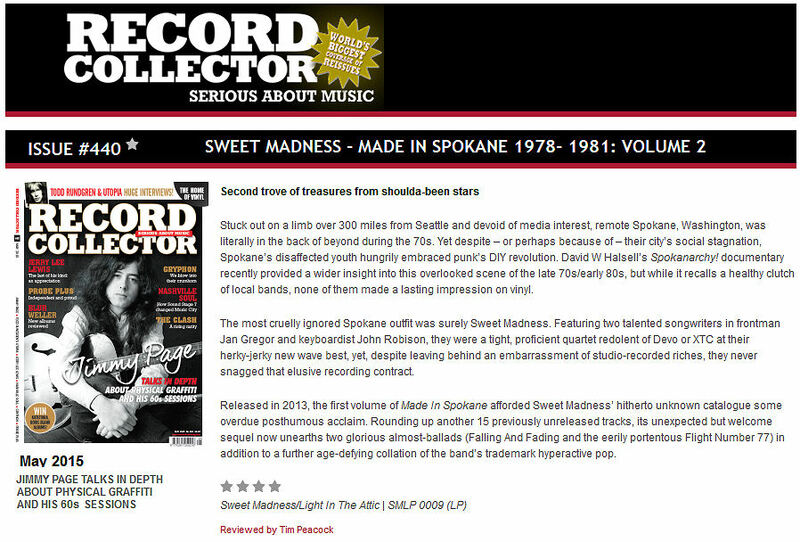 Sweet Madness Volume 2 Made in Spokane 1978-1981.
that were culled from various analog recording sessions and recently digitally remastered. and a back photo era street shot by Cinde Hammock. The open gatefold features an impressive array of ephemera and original gig posters. 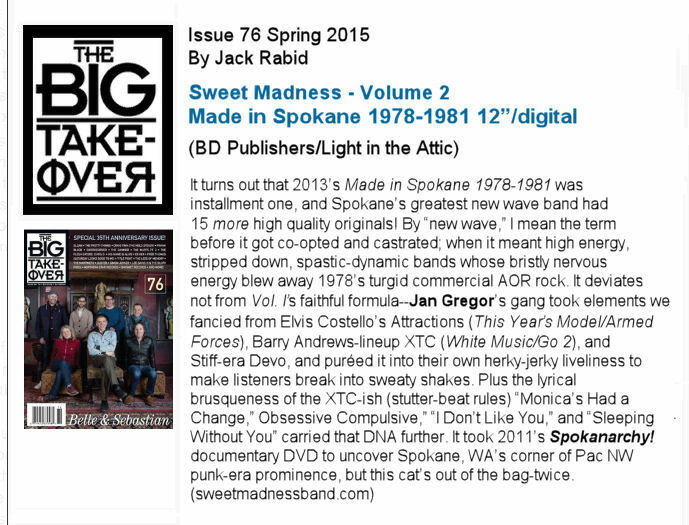 Sweet Madness Volume 2 gets reviewed by Jack Rabid in Issue No 76 of Big Takeover Magazine. Look for it on the newstands. Thank you Jack! 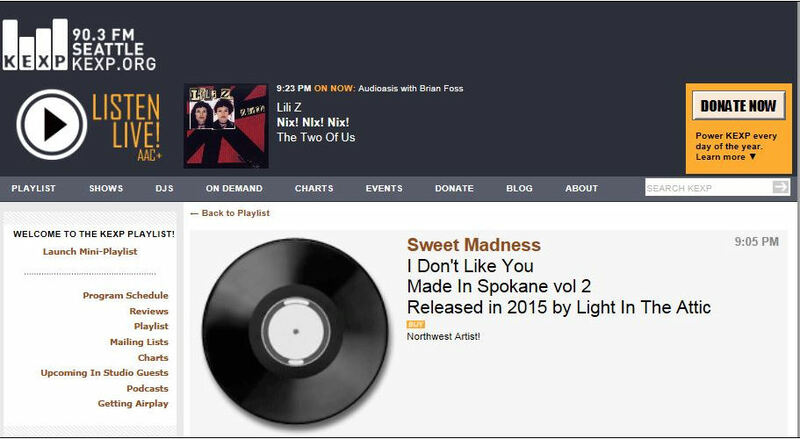 Sweet Madness thanks Brian Ross for playing "I Don't Like You" on the Sonic Reducer punk rock show. 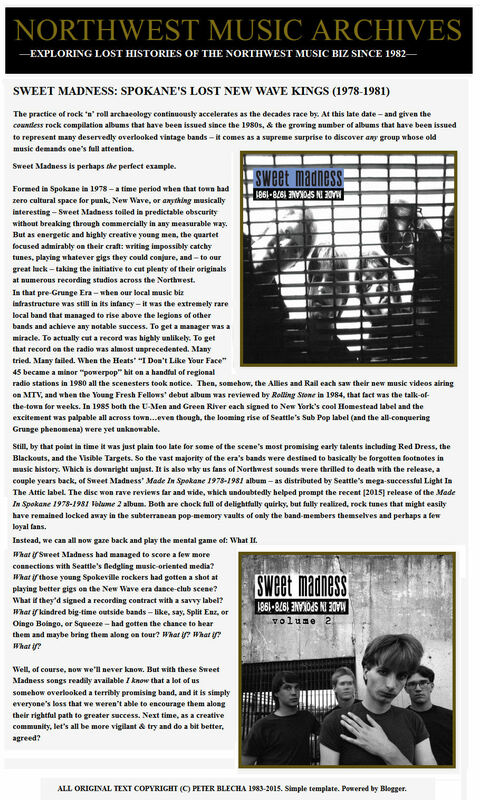 Sweet Madness gives a shout out to DJ Jack Rabid. Thank you for playing Sweet Madness on Big Takeover Radio! Take a listen and download here.